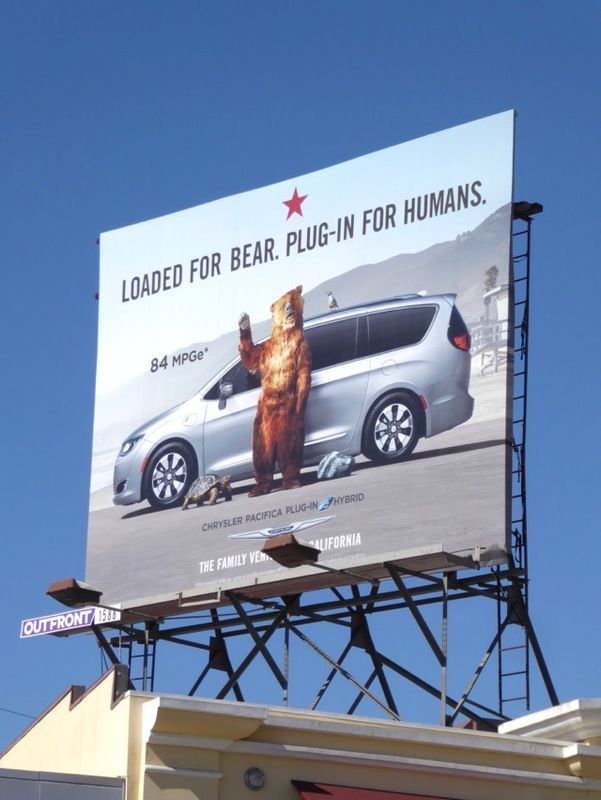 Just like having its own flag and slogan, apparently every state in America needs its own family vehicle and Chrysler's Pacifica Plug-in Hybrid is trying to be the car for Californians with kids. 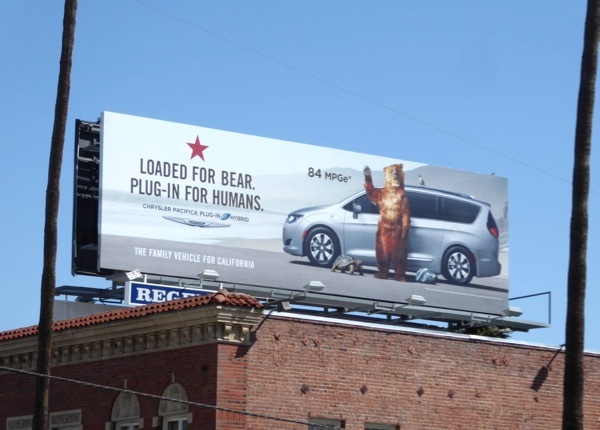 These fun outdoor ads for environmentally-friendly hybrid car is loaded with California state symbols - the valley quail, the desert tortoise, serpentine rock and brown grizzly bear. 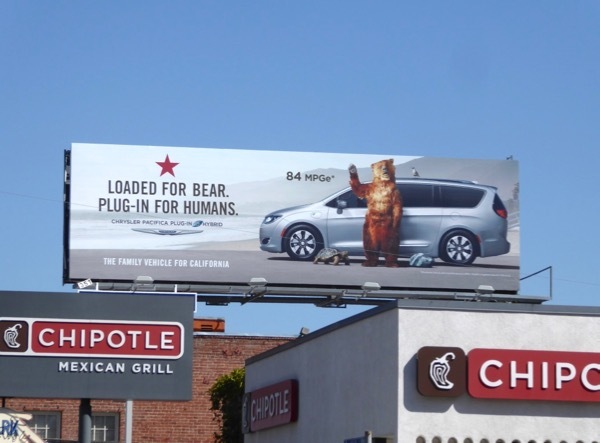 Injecting some humour is a great way to make car advertising a bit less just about the product shot and these eye-catching billboards were spotted above Sunset Boulevard and Westwood Boulevard from October 4 to October 7, 2017. 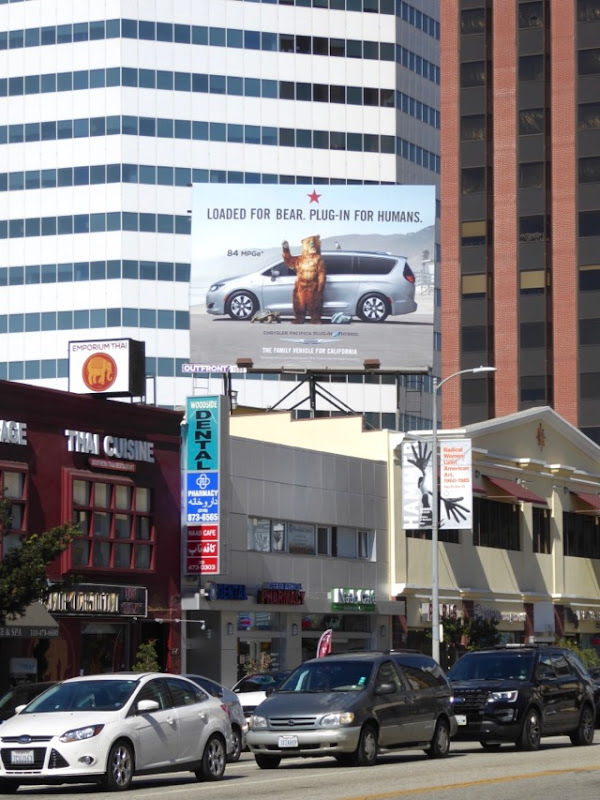 If you can't bear these ad creatives, maybe you'll enjoy checking out these other examples of fun outdoor advertising for autos including these Mini car billboards, this Mercedes-Benz 3D mannequin billboard and this Mazda clapperboard billboard. Now if only driving around L.A. in all the rush hour traffic put a smile on Daily Billboard's face like these billboards do.